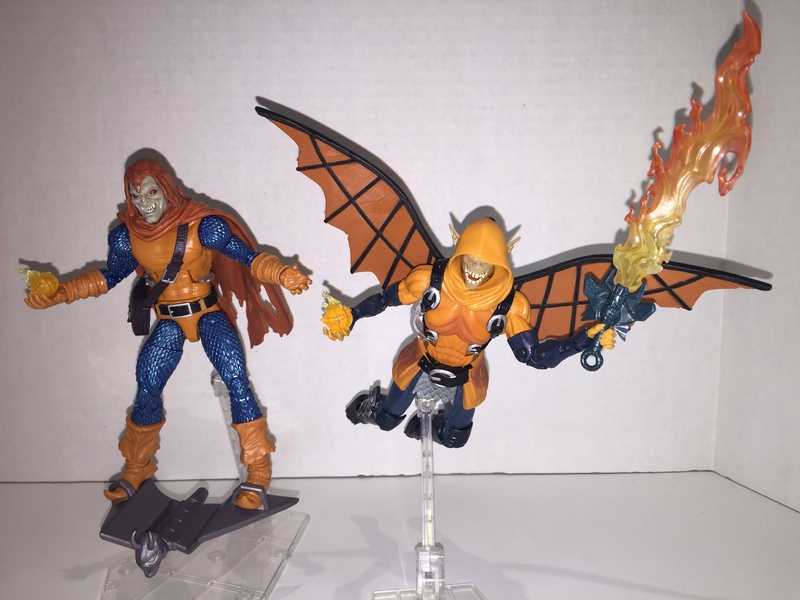 Toy Tuesday – Space Venom and BAF Hobgoblin Comparison | Jesse Hecht C.R.E.A.T.I.V.E. 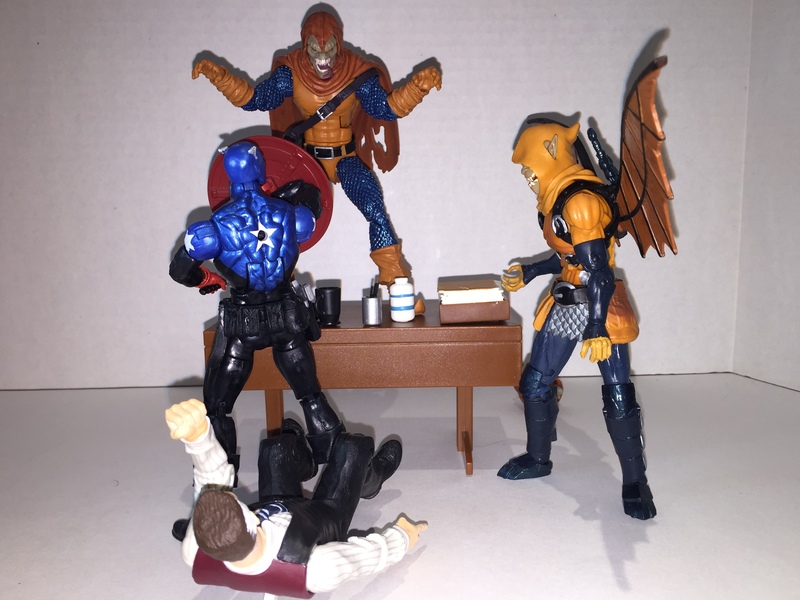 Welcome back to Toy Tuesday! 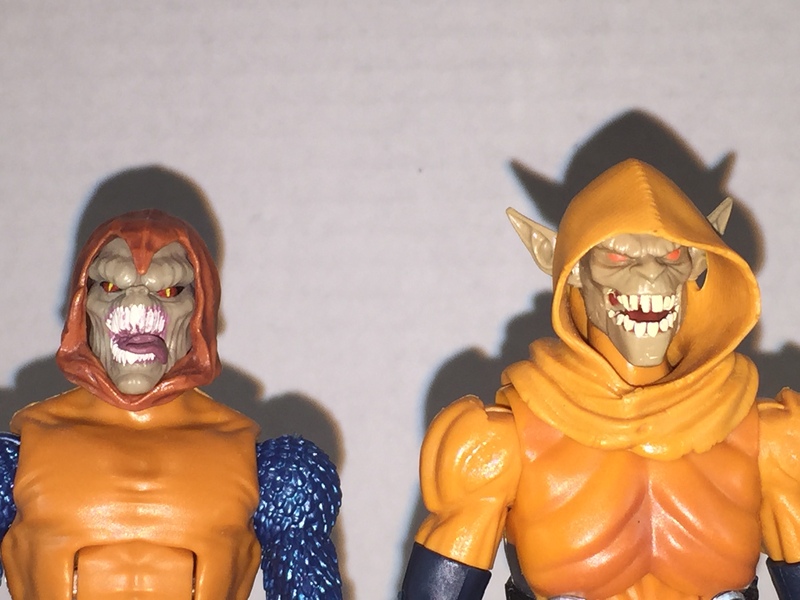 Here we have the gruesome twosome, the Hobgoblins! 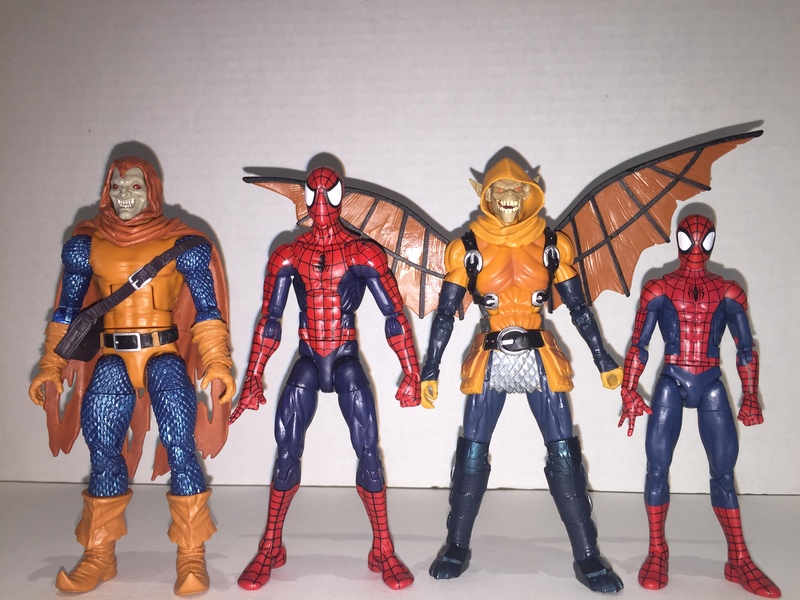 The Hobgoblin is an offshoot from Spider-Man villain the Green Goblin, the mantle being taken by various different people, most notably the Green Goblin’s son, Harry Osborne, in the Ultimate Spiderman comic series. 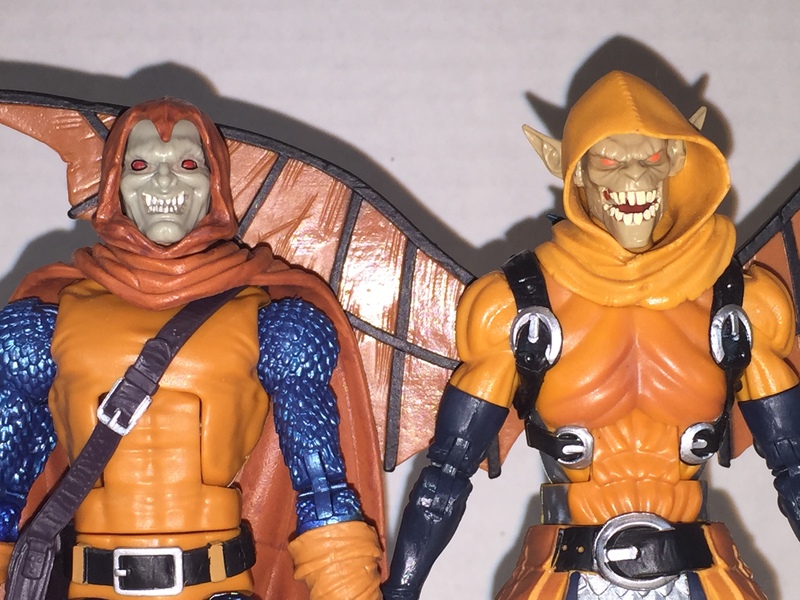 These goblins, however, are Roderick Kingsley as the classic Hobgoblin and Phil Urich as the Goblin Knight version of the Hobgoblin (left to right, above). These goblins may share the same name, but they are both vastly different. 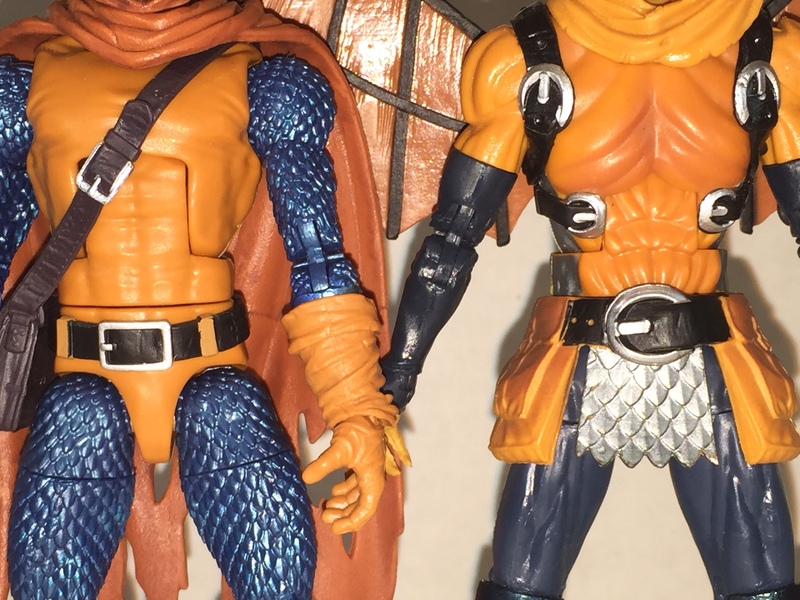 The classic goblin goes for a more chainmail and cloth medieval aesthetic while the goblin knight goes for armored plating and a Leonardo Da Vinci-styled pair of wings. 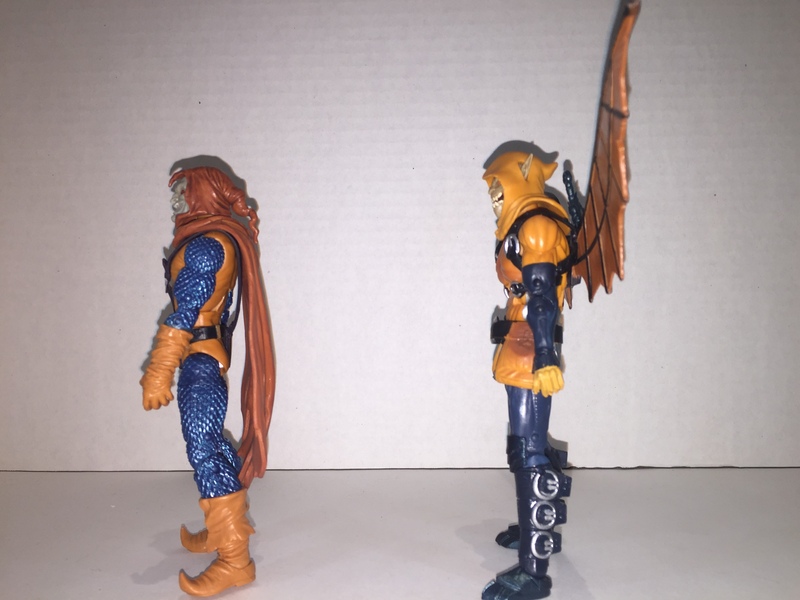 Their color schemes are somewhat swapped with the classic having a darker orange and lighter blue in contrast to the BAF’s darker blue and lighter orange with some silver thrown in for variety. 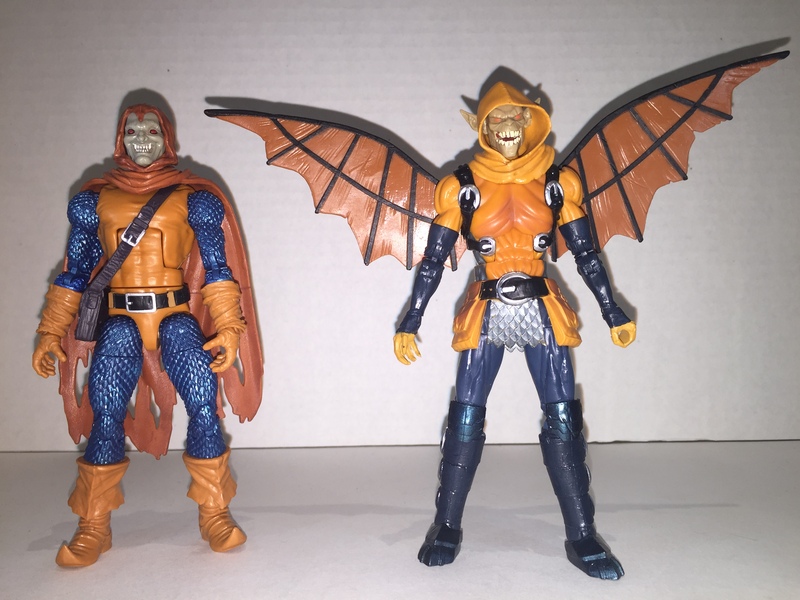 The faces and bodies are also stylistically different, with the classic goblin being more beefier than his counterpart and the BAF achieving a sleek, modern look that gives off a spindly scarecrow-pumpkin motif that makes him somewhat more unnatural when compared to the classic version. 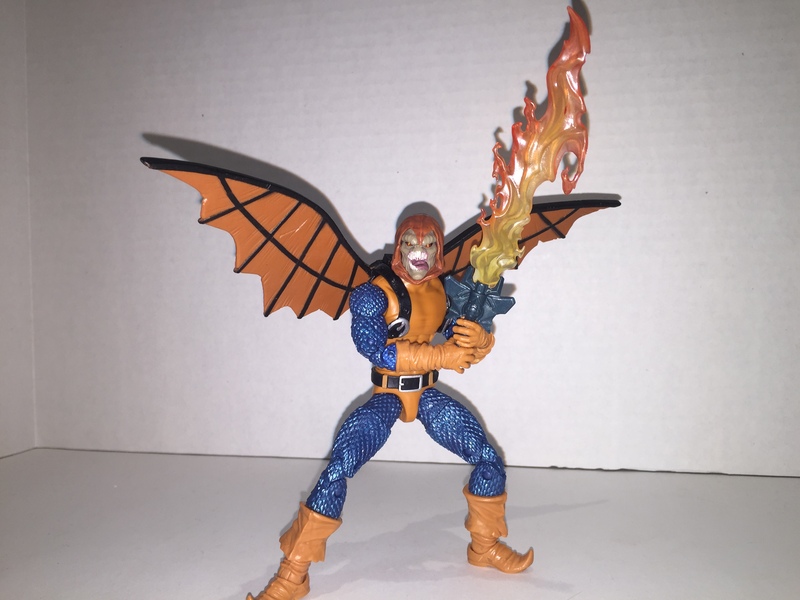 The level of detail, as always, is great on both, but the BAF’s details contain a mix of textures that flow well together, from the minimalist wood texturing of the wings to the silver scales of mail on the skirt. As far as accessories go, they come with a few necessities. 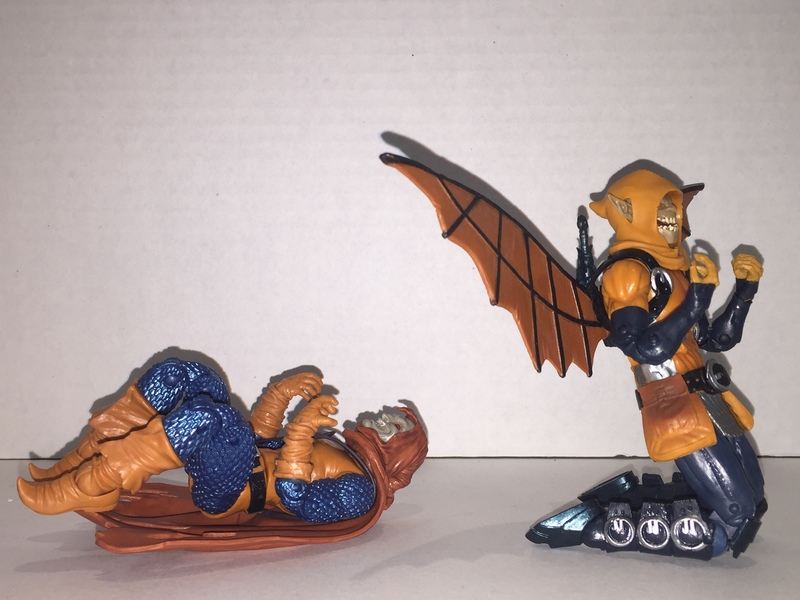 The classic version comes with the requisite Goblin Glider and pumpkin bomb, but also another head is added in. 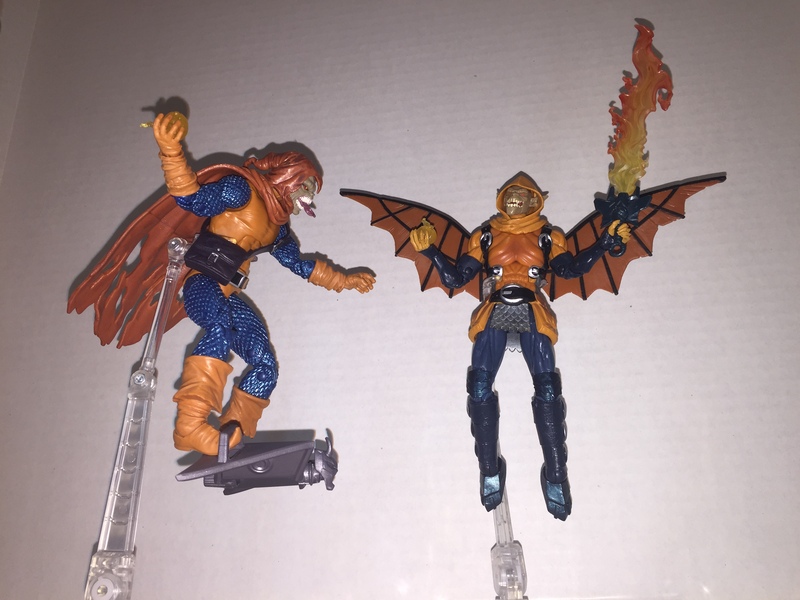 This new head is from a time when the Hobgoblin became a demon in the form of the Demogoblin, yet another Goblin offshoot. 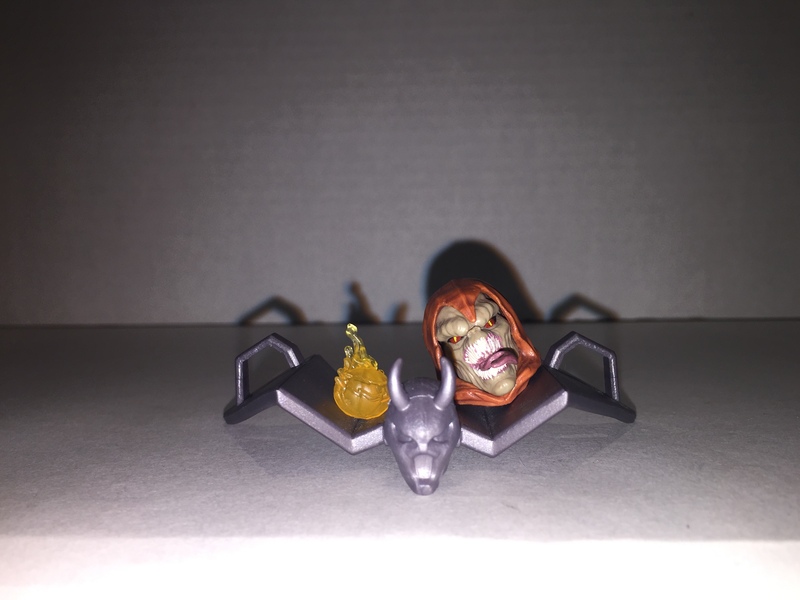 It looks scary, but more of the in-your-face monster scary rather than the sinister-and-creepy look from the BAF’s face. 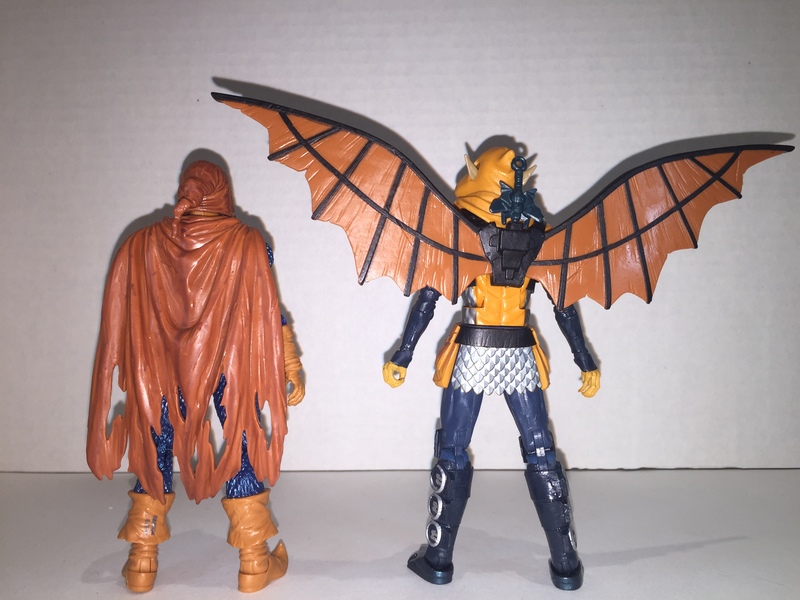 The BAF comes with a fiery sword and a pumpkin bomb, as well as an extra hilt to place into his wing backpack when not in use. 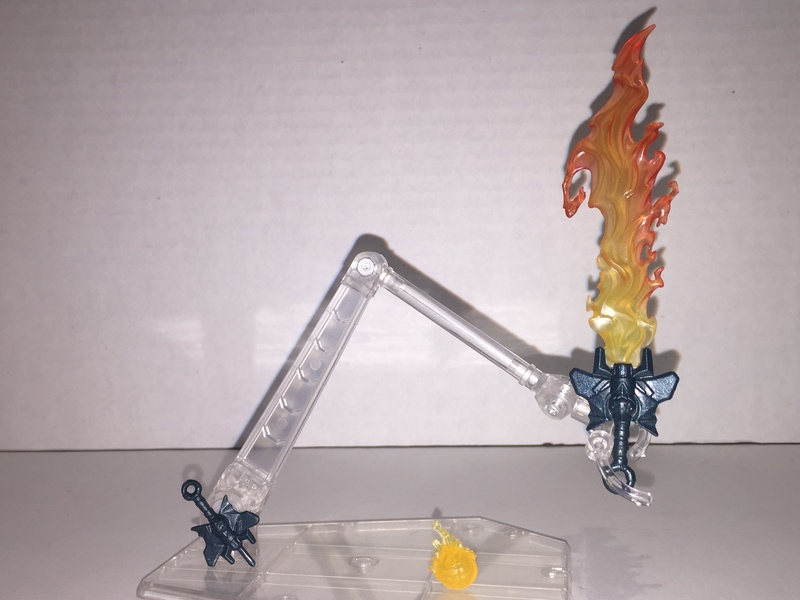 While taking these apart for photos, I stumbled upon making this creation. It can’t really hold the sword that well but it looks pretty good if the wings are personally better than the cape for the viewer. 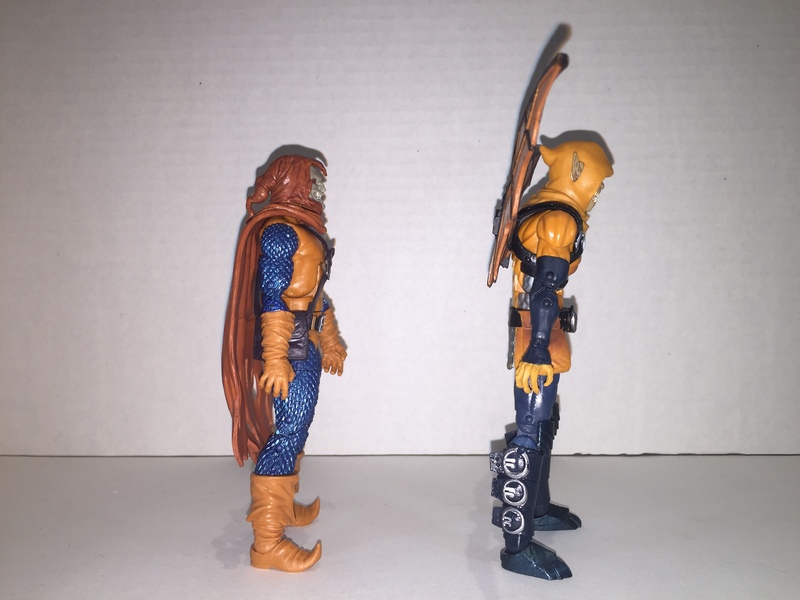 Also, the BAF head and the cape don’t really work both functionally and aesthetically. 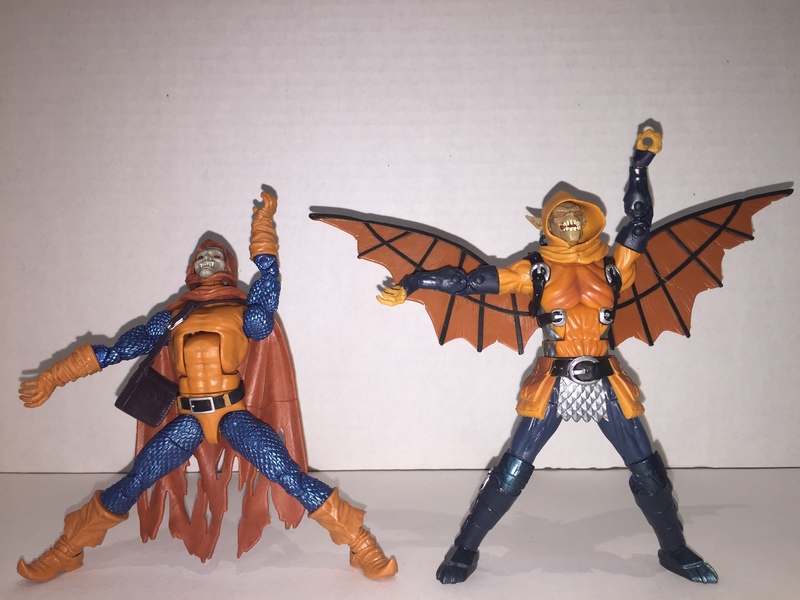 Posability is sky-high with these figures, and they both can capture a variety of poses. Here are their ab-crunches. This is the most extreme outward movement they can perform. This is the most extreme inward movement they can perform. 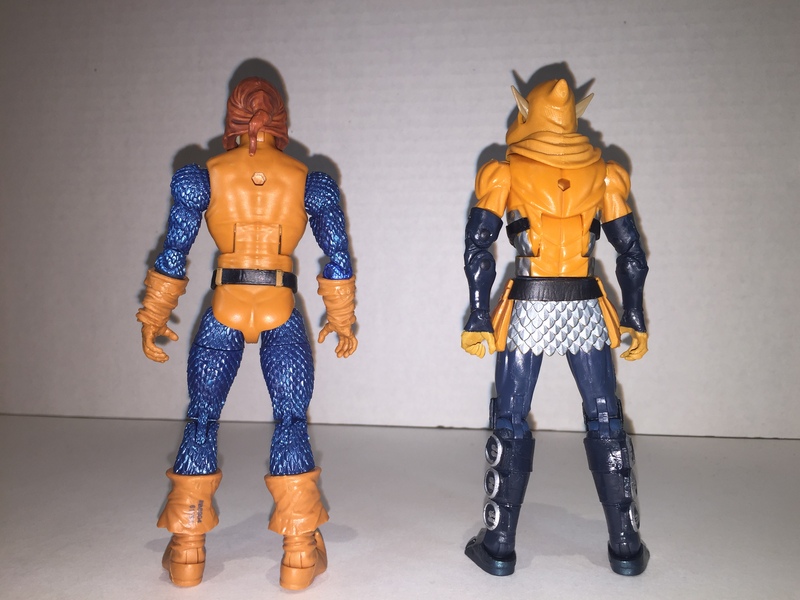 Here they are compared to the roughly 6.5 inch Marvel Legends “Raft” Spider-Man and the roughly 5.5 inch Marvel Legends Ultimate Spider-Man. 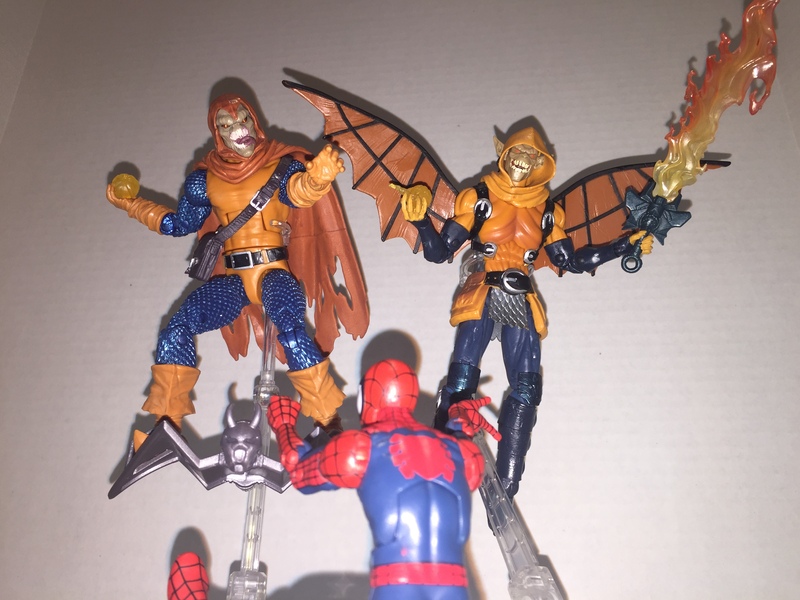 Both Hobgoblins stand at around 6.5 inches tall, making them an even match for the older Spider-Man, leaving the younger one outmatched. 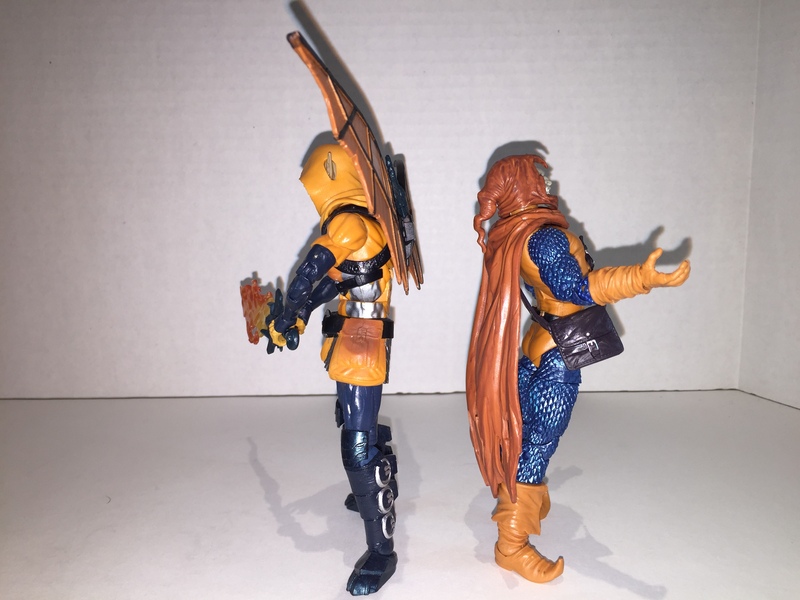 Both of these figures are great. 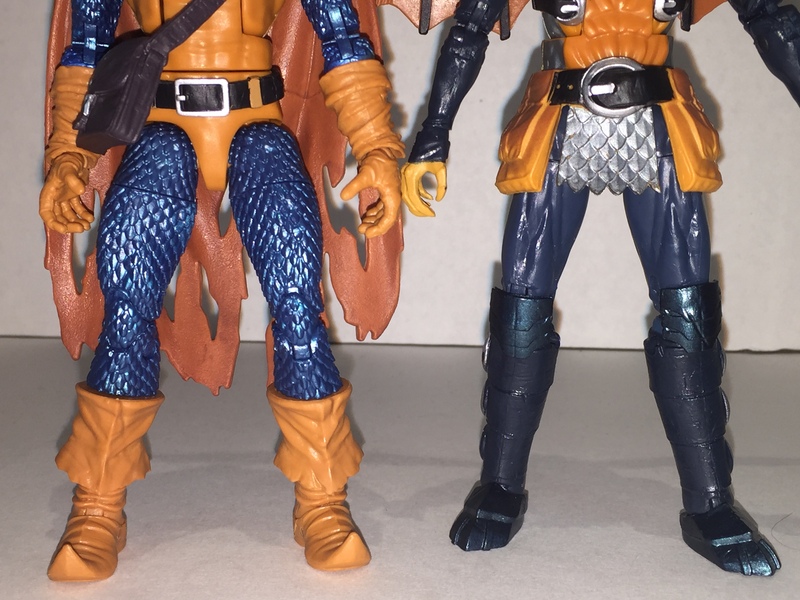 They both have strengths and drawbacks (sculpt fighting the articulation), but overall, I personally prefer the BAF. 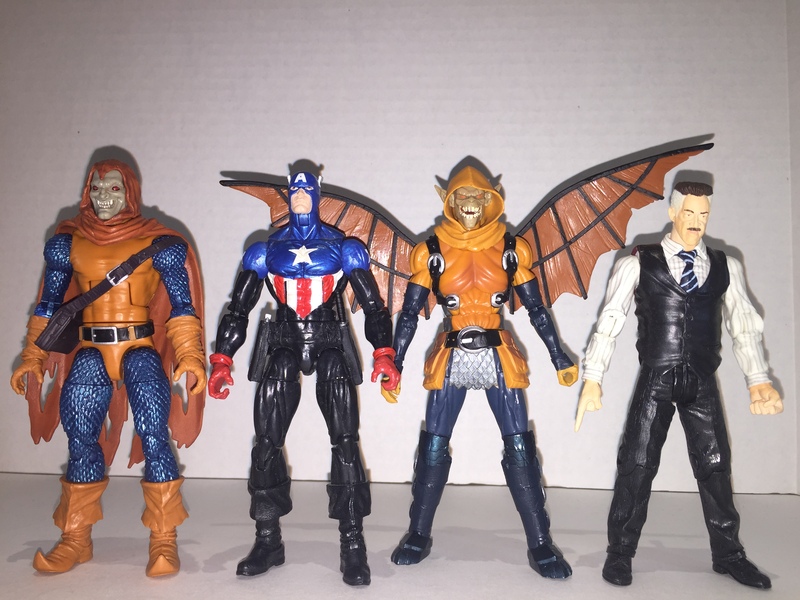 Thanks and see you next week for another Toy Tuesday! < Previous Metroid Speedrunning Part 3!